Join America's Largest Retail Pool Supply & Service Franchise! We're the advice many pool owners quickly come to rely on. Pinch A Penny is the perfect franchise opportunity for someone who wants to work in and improve their community in a profitable way. Is Pinch A Penny Right For You? For over 40 years, Pinch A Penny Pool Patio and Spa has been diligently serving local communities with the absolute best in pool care and maintenance. Our family-owned business began in 1975 when our founder, Fred Thomas, opened the first Pinch A Penny location in Clearwater, Florida. Since then, we've grown to over 250 stores nationwide. Our time-tested business model, streamlined operations, and focus on customer service make Pinch A Penny an ideal opportunity for franchisees who are looking for more than just an investment. Our franchisees are part of our Pinch A Penny family. They're serving their neighbors and community with outstanding products and services. And they're focused on building a business that's not only financially successful, but one that their family can be proud of and continue on for the next generation. Industry experience and expertise. We've been in business for over 40 years. We have a deep understanding of our industry and our markets, and that experience and expertise is passed on to our franchisees through in-depth and ongoing training and support. Our customers keep coming back. 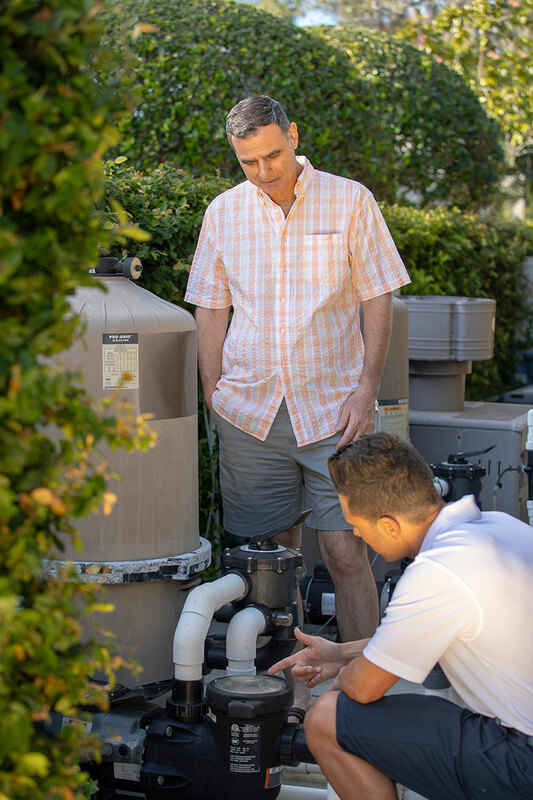 One of the things that sets us apart from our competitors is that we don't just sell our products and services - we also share our industry knowledge and expertise with our customers so that they can take better care of their pools and spas. That kind of customer service builds loyalty, and our customers appreciate that. * For the year ending December 31, 2017, Pinch A Penny had 238 stores open. Of those stores, 225 have been open two years or longer. Of those opened two years or longer, the average annual gross revenue was $1,260,764. 138 stores (61%) had annual gross revenues below the average and 87 stores (39%) had annual gross revenues above the average. Your results may differ. There is no assurance that you will do as well. See our 2018 Franchise Disclosure Document for more information. We offer diverse revenue streams. The best franchise opportunities provide multiple revenue streams to help diversify store income. Pinch A Penny offers retail product sales along with pool and spa maintenance services for both residential and commercial properties. Who Are Pinch A Penny Customers? With over 240 locations across five states, Pinch A Penny customers are a large and growing customer base. Pool and spa owners have many choices when it comes to choosing a maintenance provider. Most of them, however, still choose Pinch A Penny over the competition because we consistently provide a wider range of products and services than the other guys. Most of our customers are pool owners who live in warm climates, primarily in the Southern U.S. They own a pool and use it primarily for relaxation and to spend time with family and friends. They value their time and money, so they appreciate that Pinch A Penny offers a one-stop shop for them to purchase everything they need to keep their pool in good condition. 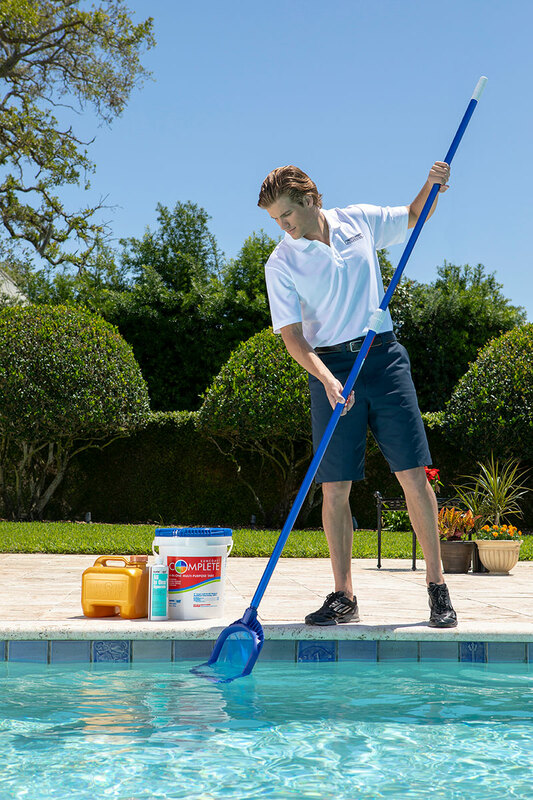 Pool and Spa Products - Our customers appreciate that we carry one of the largest inventories of pool and spa products to meet all of their needs. At Pinch A Penny, we work hard to make sure that we provide a one-stop shop for all of our customers' pool and spa maintenance needs. Pool Service and Maintenance - Many of our customers prefer to outsource the maintenance and upkeep of their pool or spa, and our reliable pool techs and competitive pricing help us corner a large share of the pool and spa maintenance market. Unparalleled Industry Expertise - Finally, our customers know that when they come to Pinch A Penny for pool and spa related questions, they'll get expert advice from industry veterans. That kind of customer service builds loyalty and trust, and it's why our customers keep coming back and referring us to their friends and neighbors. One of the hallmarks of running one of the best franchise business opportunities is offering a comprehensive training and support program to help prepare new franchisees even before they set foot in their new store. At Pinch A Penny, we believe that the community we've built through being a family-owned company extends to our training and support processes. 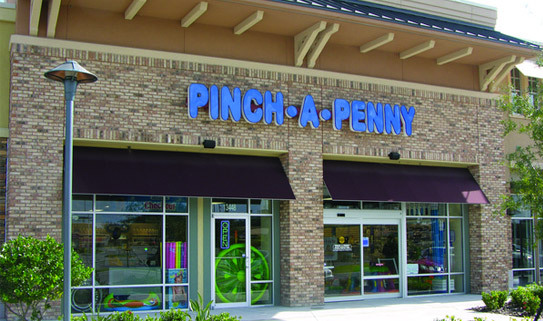 New franchisees start by spending four weeks at our Clearwater, Florida headquarters where they attend classes and learn the ins and outs of operating a Pinch A Penny franchise - from the technical details of maintaining a pool to inventory management and operational support. During this time, you'll also spend time in some of our retail stores, becoming familiar with the day-to-day operations. Once a store is open, we offer on-site help during your grand opening and have continuing education opportunities throughout the year to make sure that you've got all the tools you need to operate and grow your Pinch A Penny business. Find out if a Pinch A Penny franchise is the right investment for you and your family. Fill out the form. Looking for more information about Pinch A Penny Pool Patio and Spa? Take a moment to fill out our quick information request form.